Ginsburg’s life counters a predominant aging theory and gives us hope for what our futures could look like. There are so many reasons to love Supreme Court Justice Ruth Bader Ginsburg. The Notorious RBG is a feminist icon, a strong presence on our highest court, and a voice of reason in an otherwise unreasonable time. But beyond her progressive political positions, dissent collar, and impressive workouts, there’s something else that draws us to the resilient 85-year-old: She is the poster woman for thriving while aging. In a society that still largely views people — women, especially — as decreasing in value as they age, RBG embodies the opposite. In fact, despite having served on the Supreme Court for a quarter century, she has never been as visible or celebrated as she is now. Whether it’s photo ops with smitten fans Justin Theroux and Armie Hammer, raps and skits about her on Saturday Night Live, or a recently released biopic and documentary, 2018 has cemented her place as a fixture of both political and pop culture. Yes, a lot of the appeal (pun intended) of RBG stems from her position as the face of the Trump resistance, but it’s more than that. 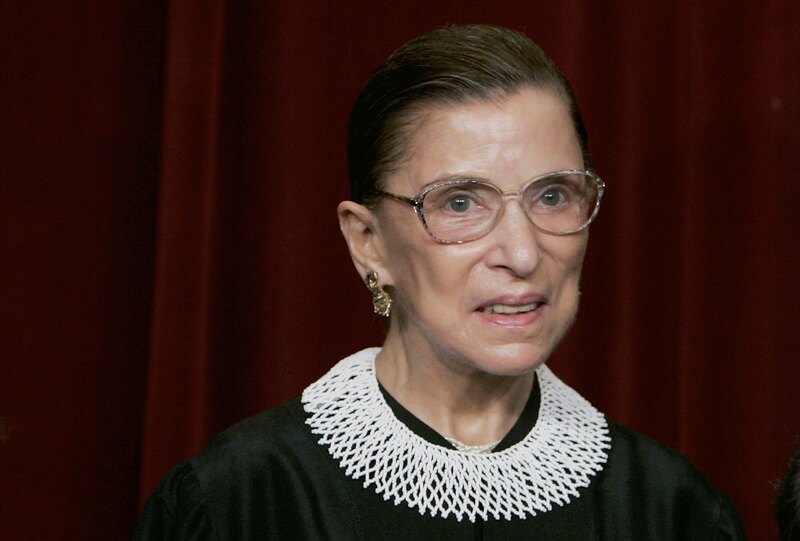 Ginsburg serves us serious inspiration for how to age well. Rachel Margolis, Ph.D., an associate professor of sociology at the University of Western Ontario and expert on aging, tells Thrive Global that one of the reasons why Ginsburg has become an aging role model is because she is in such great shape, both physically and cognitively. “So much of the news about aging focuses on disability and the management of chronic illnesses,” Margolis says. “RBG offers a great example of a woman with a very high healthy life expectancy,” thanks to a combination of her high level of education and routine exercise. Mieke Beth Thomeer, Ph.D., an associate professor of sociology at the University of Alabama at Birmingham who specializes in aging, says that in gerontology, the scientific study of old age and aging, there is frequently mention of disengagement theory — or the idea that older adults withdraw from society as they age, and that it is normal and inevitable to decrease their activity and seek more passive roles. For some people, this becomes a self-fulfilling prophecy. But Thomeer tells Thrive Global that in reality, disengagement theory doesn’t have much empirical support, and in fact, more and more older adults now continue to stay engaged within society — and Ginsburg is a perfect example of this. In other words, Ginsburg’s life counters the predominant aging narrative and gives the rest of us hope for what our futures could look like. So what can we do to thrive as we age like one of our favorite members of the Supreme Court? According to Thomeer, the key is staying active, physically, mentally and socially. “Older adults who are able to keep working at jobs they love — or find new jobs or volunteer opportunities that they find fulfilling — go a long way towards successfully aging,” she says. Old age no longer evokes images of a blue rinse, early-bird dinners and bingo — unless that’s what you’re into. Most of us won’t spend our 80s on the bench of the Supreme Court, but thanks to RBG, we know that aging doesn’t come with limits.